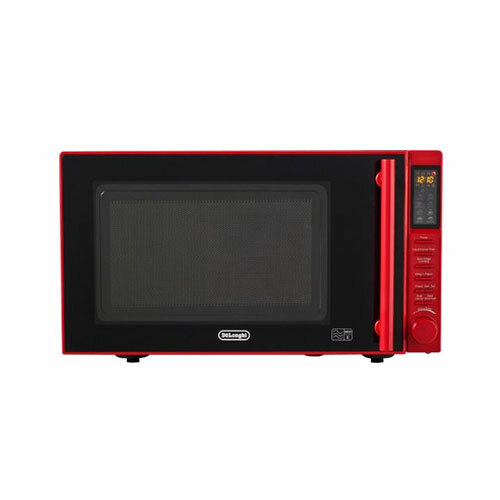 This stylish red microwave from Delonghi has a number of great great features, including a massive 23 litre capacity it is perfect for families with 8 programmes and 900 watts of power. With a bright red door handle and controls this microwave will suit any red coloured or black kitchen interior perfectly. The microwave has a child safety lock and measures 28 x 48 x 40 cm (H x W x D) it comes complete with a 27cm diameter rotating turntable.